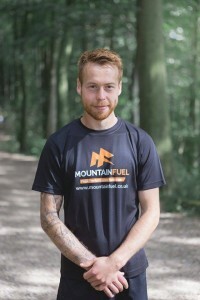 I have been using the full range of Mountain Fuel performance supplements for the last couple of months, after I was put in touch with them through a friend and feel that I¹ve thoroughly tested their supplements enough to provide an update. Initially after having a good chat with the owner of the company Rupert Bonington and being impressed with the philosophy of the company not to mention their association with Walking with the Wounded, a charity close to my heart as only Perthes Disease prevented me passing the medical test for the Marines! An opportunity arose for us to work together and as I was about to start a hard block of training it would be a perfect opportunity to test the products properly. The below is an outline of an 85 mile training week. Monday was a rest day. A track session on Tuesday totalling 10 miles but including 2×1 miles at 5:25 pace and 5 x 1k at 5.20 pace. Wednesday is an easy double day of 9 mile in the morning at 7.13 pace per mile and 5 miles at 6:50 per mile in the evening. Thursday was a double day starting with a easy 5 mile at 7:01 pace per mile in the morning followed by a 10 mile progression run from 7:10 down to 5:40 per mile (which equates to 10 seconds faster per mile). Friday was an easy double day of running 7 miles in the morning at 7:18 and then 5 miles at 6:50 per mile in the evening, which I had the recovery shake after my run and the night recovery drink before going to sleep to help me prepare for a hard weekend of running long training runs back to back. Saturday morning I woke up with my legs feeling good and started the day off with the Morning Fuel which is a pre-event. I had planned to complete the 17 mile long run with 13 miles in the middle at Marathon Pace. Sunday morning was a long run of 16 miles along the local trails averaging 7:00pace per mile on a muddy undulating route. Additionally look at their recipes for Morning Fuel Banana Flapjacks, Morning Fuel Power Pancakes or Mini Power Pancake. A sachet of Xtreme Energy Fuel can fuel you for a marathon where you take 3 to 4 hours, without the need to worry about carrying extra gels. On the way to the race I sipped the Xtreme Energy Fuel over a two hour period which is recommended to allow your body to absorb it and maximise the supplement¹s performance. The result of my preparation and utilising the whole Mountain Fuel system meant that I was able to comfortably complete all seventeen miles, plus as planned ran a 77 min Half Marathon in the middle (5:54 per mile). I finished in second place without the need to take any extra fuel on board! Previously on a typical long run I would have normally fuelled myself by taking three or four energy gels and I was a little unsure about going on a long run without taking any extra fuel but to my surprise I didn’t experience any loss of energy towards the end of the race. In all honesty I actually found I was running quicker and stronger towards the end of the race which is very encouraging for when I start my marathon training next year. (If you want an alternative to gels to take fuel on your long runs have a look at their On the Go Fuel recipe which utilises the Xtreme Energy Fuel). As a note after I had completed my long marathon paced training session I drank the Ultimate Recovery Fuel straight away as I had planned another long training run the following morning and with this in mind I also used the Night Fuel later that evening. I woke up feeling fresh and ready to run 16 miles on the local trails at a 7:00 per mile pace. I repeated the process in the morning with the Extreme Energy Fuel and completed the run without the need to refuel. Again I had plenty of energy throughout the run and towards the end I felt like I was getting stronger and could have continued on. 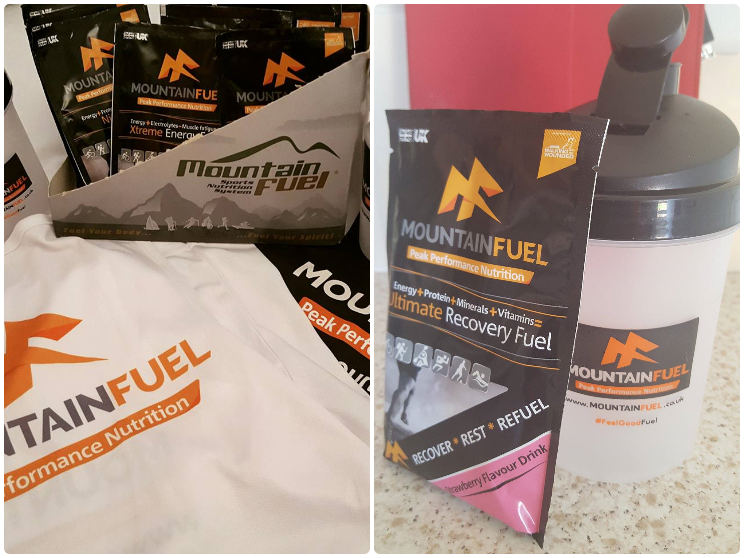 So, after testing all of the mountain fuel products I can honestly say that I¹ve been thoroughly impressed with the whole system, not only did they deliver all that Rupert claimed they would, improving both my performance and recovery but they even great taste too. There¹s not much more I can say other than to confirm that Mountain Fuel is now part of my normal training and race routine. 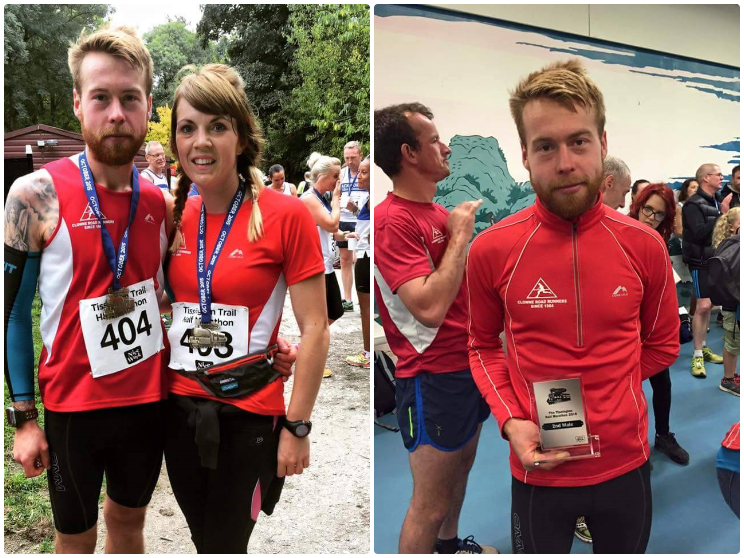 This entry was posted in Gear Reviews, Mountain Fuel, Nutrition Corner, Training Corner and tagged diet, feel good fuel, guestblog, lakeland100, nutrition, nutritioncorner, recovey, running tips, sports nutrition, training, utrarunning on 31st October 2015 by Dan.